An unusual finding is the one happened in Glenys Howse in the Bay of Islands, an area in the north of New Zealand and popular tourist destination, where a curious animal has been found. It would seem like a fish with legs, one leg on each side. For now, no one has an answer, but some scholars of the Museum of New Zealand Te Papa Tongarewa are looking for it. 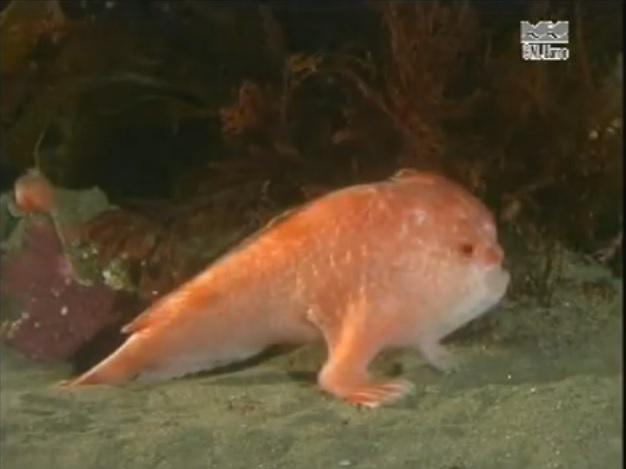 The specimen is creating much discussion and the known social network “Facebook” has renamed it “the walking fish”. But are we sure that this is really a fish, or maybe it is an amphibian? The expert Andrew Stewart thinks he has identified the animal as a “monk fish”, an animal known to bite faster than any other vertebrate. The thing that does not add up is its color, as the animal it is completely black. It reminds of the Brachionichthys hirsutus, apart from the color, a river fish from Australia. Both use flippers to move on the sandy riverbed, using them as real legs. On its webpage museum writes that it is very unusual and there still is no agreement on the species to which the bizarre creature could belong. Unknown species or not, the fish with legs went viral, not only in New Zealand, but also all around the world. Only time, perhaps, will shed light on this cute little animal.